In a battle below the ground, tiny nematodes attack a rootworm, which is trying to feast on the roots of a corn plant. (February 7, 2019) - Someday – in some scientifically savvy encyclopedia perhaps – the word “resilience” may include a photograph of the Western Corn Rootworm. This crafty, intrepid rootworm has found a way to circumvent just about every defense a corn plant and its advocates have thrown at it. Now researchers at the University of Delaware and the USDA have discovered an indirect defensive strategy used by the hybrid plant that provides some recourse against this stubborn creature. Ivan Hiltpold, assistant professor of entomology and wildlife ecology in UD’s College of Agriculture and Natural Resources, and the USDA’s Bruce Hibbard, who leads plant genetics research at the University of Missouri, published their findings in the Journal of Economic Entomology. Western Corn Rootworms encountered significant setbacks when growers started planting hybrid corn plants, genetically engineered to produce insecticidal toxins from a bacterium called Bacillus thuringiensis – or Bt for short. When a susceptible rootworm attacked a hybrid corn plant, the toxin usually killed it, arresting the damage. After about a decade of effectiveness, Western Corn Rootworms developed resistance to Bt corn. But it turns out that Bt corn wasn’t helpless. Hiltpold and Hibbard found that when a resistant rootworm chomps boldly into this plant, causing advanced damage, the hybrid sends out a specific chemical signal that is something like throwing chum into the ocean as shark bait. 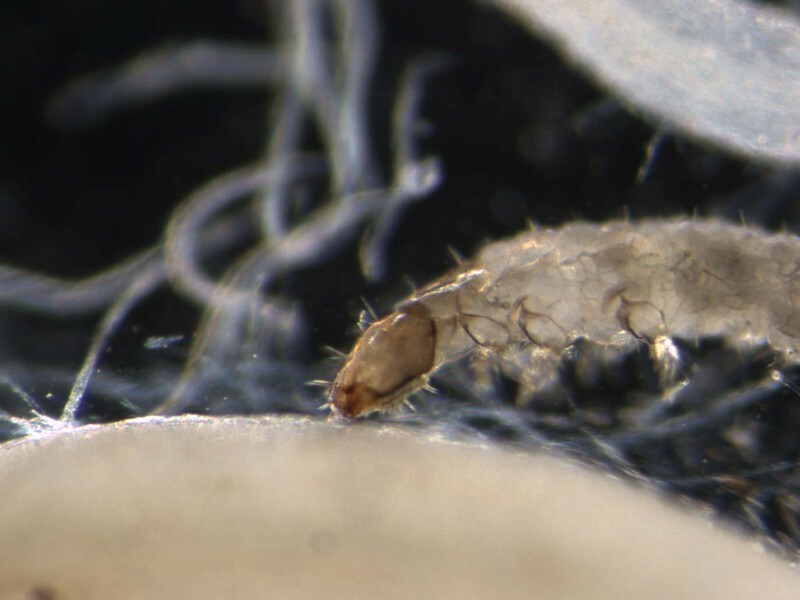 In this case, the organic compound sent out by the corn plant attracts nematodes, small wriggling wormlike creatures that feed on these rootworm larvae. You might call it the nematode dinner bell defense. The chemicals tell every nematode within range that dinner is ready and rootworm larvae are on the menu. This is great news for the nematodes, but a new vulnerability for the resistant rootworm – something agricultural economists call a “fitness cost,” a tradeoff that explains how a newly acquired trait costs an organism something in development or ability to reproduce. 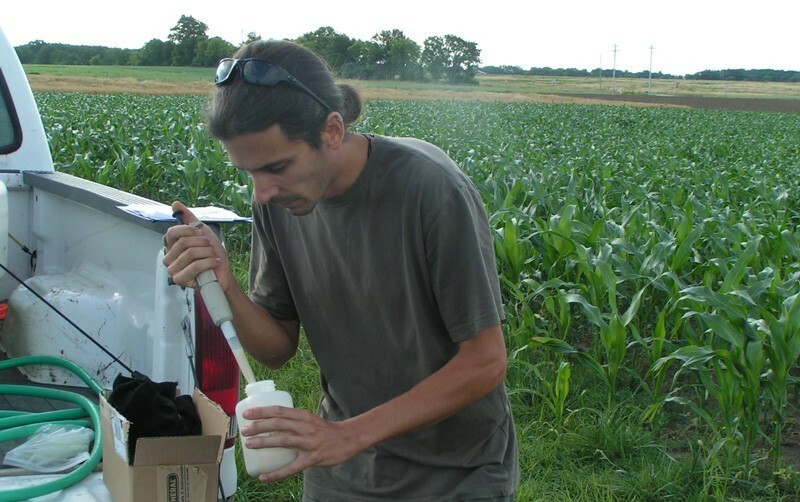 Breeding corn to grow bigger ears, for example, may have implications for the corn’s future. It may lose certain traits that smaller-eared corn maintains. The Western Corn Rootworm’s resistance to this hybrid corn has exposed it to another layer of defense – the compounds that are emitted only to beckon nematodes when this resistant rootworm attacks. The compounds are not emitted when non-resistant insects attack the corn because the damage to the plant is not great enough to trigger the defense. Nematodes are expensive to introduce as an applied defense, though, Hiltpold said. They are not an economical way of prophylactically managing Western Corn Rootworm populations. But they can be used to treat problem areas and pockets of resistance, he said. Some growers are suspicious of nematodes and reluctant to encourage them in any way, Hiltpold said. And to be sure, certain nematodes are a threat to soybeans, for example. But the nematodes drawn by these corn plants are not plant eaters. They are insectivores. And they can be another weapon in the corn grower’s arsenal. The Western Corn Rootworm is not a significant problem for corn in Delaware, Hiltpold said. It does not like sandy soil. But he is interested in exploring whether nematodes could be helpful to another big Delaware crop – watermelons. “The more angles you use to control insects or pests, the more sustainable your management will be,” Hiltpold said. Ivan Hiltpold is an assistant professor of entomology and wildlife ecology in the University of Delaware’s College of Agriculture and Natural Resources. He earned his master’s degree in behavior, ecology and evolution and his doctorate in entomology and chemical ecology at the University of Neuchâtel, Switzerland, his hometown. He later served as a research fellow at the Hawkesbury Institute for the Environment at Western Sydney University in Australia and had postdoctoral fellowships at the University of Neuchâtel and the University of Missouri before joining the University of Delaware faculty in 2016. 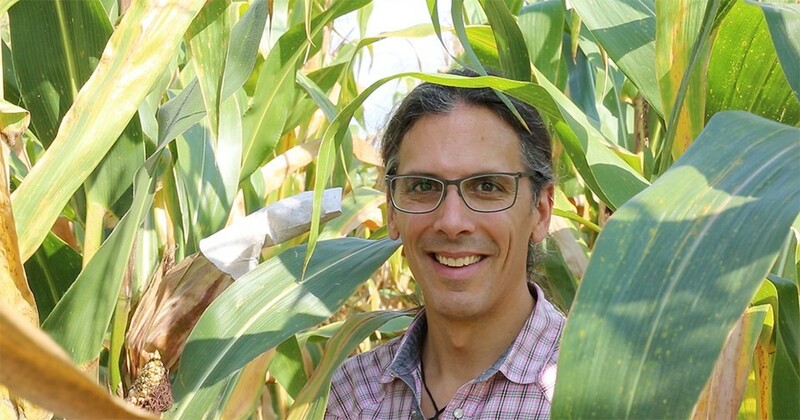 UD Prof. Ivan Hiltpold studies the pests that attack corn, which is a staple of diets in the United States and much of the world. Growers planted 89.1 million acres of corn in the United States in 2018, according to the U.S. Department of Agriculture.